IABA grants one or more scholarships each year to law students who have demonstrated a commitment to the advancement of the Iranian-American community. Applicants must be of Iranian heritage and full-time students at an accredited law school (applications from UCI School of Law will be accepted) in the United States who are not otherwise receiving full educational funding from another organization. If you would like to apply for the IABA Scholarship, please submit the following materials to scholarship@iaba.us by the application deadline: (1) a resume detailing your education and work and community experience; (2) official law school and college transcripts; (3) a brief statement articulating why you chose to attend law school, why you would like to become an attorney, and how you believe you will make a difference as an attorney on issues of concern and interest to the Iranian-American community; and (4) this application. The deadline for applying for the 2019 scholarship is March 31, 2019. 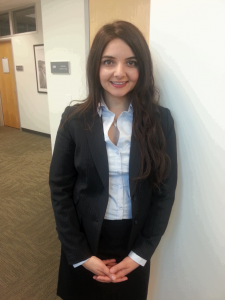 Rachel Khalili is a second year law student at UC Irvine School of Law. She was elected to the Student Bar Association Appropriations Committee, serves as Director of Outreach of the Iraqi Refugee Assistance Program and is active in the International Law Society. Prior to attending law school, Rachel worked as a Legislative Aide for a Member of Congress in Washington, D.C. Rachel graduated from UC Irvine with a Bachelor’s degree in Political Science, with honors, and Master’s degree in National Security and Intelligence from the U.S. Naval War College. She is active in pro bono projects, including serving as a Persian language translator for low-income clients. Sahar is currently a law student at UC Berkely, School of Law. Sahar received her Master’s degree from Columbia University studying negotiations and conflict resolution with an emphasis on International law. Sahar was the Co-Founder and President of the Association of Negotiation and Conflict Resolution Students (ANCoRS) at Columbia University. Born and raised in the Bay Area, Sahar received her Undergraduate degree in Political Science at UC Berkeley. At Berkeley, she was the Co-President of the Iranian Students Cultural Organization and the Editor-in-Chief of Perspective Magazine. Sahar is the recipient of Cal-in-Sacramento (Office of Governor Arnold Schwarzenegger) Fellowship as well as Cal-in-Capital (Office of Senator Barbara Boxer) Fellowship. Sahar also interned in the San Francisco Office of District Attorney Kamala Harris. Sahar aspires to develop a strong and interconnected national network of passionate Iranian-American youth devoted to preserving and strengthening the Iranian-American identity. Barzin Pakandam is a second year student at USC’s Gould School of Law. Prior to law school, Barzin received his B.A. in Global and International Studies from the University of California, Santa Barbara. In 2007, he received a M.A. in Global Studies from the University of Leipzig, Germany, and in 2008, he received a M.Sc. in Economic History from the London School of Economics. 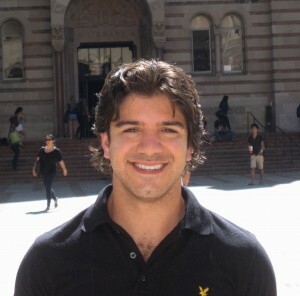 As a 2L, Barzin is co-President of USC Law’s Business Law Society. This summer he worked as a judicial extern in the Chambers of Judge Robert Klausner.